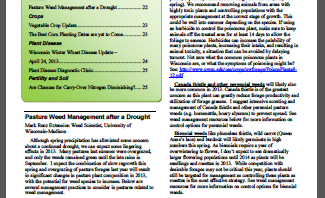 The 16th issue of the Wisconsin Crop Manager is now available. Click on the link below to view this issue. Next post: Soybean Flowers, Glyphosate Label, and Wheel Track Damage…Oh My!